Just in…..Blog “thecvillean” garners yet another award…….. 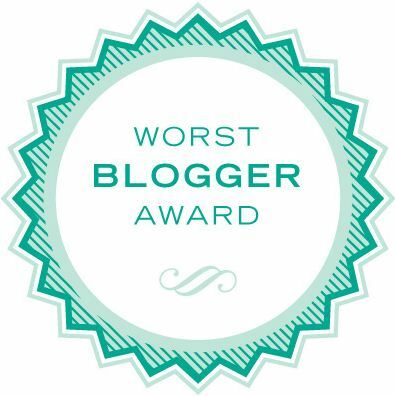 Following up on its award last year for “Worst new blog of 2010”, thecvillean achieved another milestone today by being named “Worst blog of 2011” by the Society Overseeing Blogs, a watchdog group more commonly known by its acronym, SOB. For his part, thecvilleans author, Big Al, did not appear disheartened and even seemed pleased by the news. At his impromptu interview, Big Al opined: that SOB just made my day! Before I started blogging last year, I had never won anything. Now I have two writing awards to my credit. I really want to thank that SOB again. Big Al arriving to accept his award. This entry was posted in "This just in...." and tagged Blog awards, Watchdog journalism. Bookmark the permalink. 23 Responses to Just in…..Blog “thecvillean” garners yet another award……..
deal take away fourth dimension to understand through and through a duet of reviews on the cartesian product in front devising a purchase. those WHO get bought the products in front. Thus, it would be harmonious to allege that online mathematical product reviews tush induce an impingement on the gross sales of those products. receive and not whatsoever early personal reasons. be useful to you as the business organization proprietor and your perceived customers. Ooo! I’m good at these! whats the word limit? What’s the prize? This humble but brilliant routine is way over the top. Big Al, You just can’t go a week without getting an award now, even if you have to make them up yourself. Are you trying to fill up an award cabinet that you had specially made for all your blogging awards and the top shelf was a little bare? Busted. You know me too well, Lorna. How’s about if you send me some of your extras? I’ll just scratch your name off and put mine in. That would be cheaper than Hummels. Did you know the City of San Francisco is considering revising its ban on plastic bags to include all shopping bags? 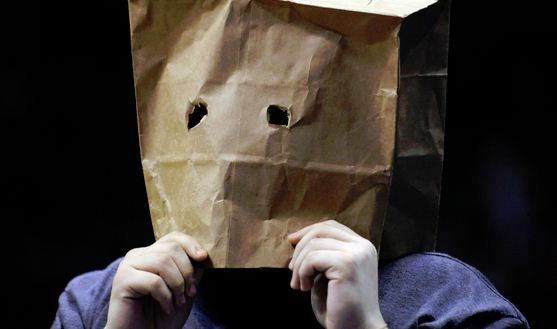 You’re going to have to come up with an eco-friendly disguise or pay a tax with every blog-signing and other SOB celebrity appearance you make. Seriously, those SOBs are SOBs. Love your blog! Also seriously, I’m not a big fan of your new look. It’s very stylish, but I have a real hard time reading blogs that use the white-on-black format. No doubt something to do with my aging eyes – am I the only one with this problem? But I will struggle on, because you’re worth it, Al! Nothing, and I mean nothing, surprises me about San Francisco or the left coast in general. Sorry you’re having trouble with the print. I’ve had all good comments about the new look but maybe more people will speak up now that you have mentioned it. If so, I will reconsider. I kind of like the more subdued look about it. I’m glad you don’t agree with that SOB and think I’m worth it! I shouldn’t have said anything. It may be time for an appointment with my optometrist, hmm? Don’t feel bad. I am usually looking around for my glasses because I need them to see to replace the batteries in my hearing aids. We laugh, but we disagree. Very clever, big Al. And I love the new look! Thanks winsomebella, it’s readers like you who will make the SOB eat their words! Humble…but brilliant! That’s Big Al! Two comments for one blog? Where were you when that SOB was doing the voting? You paying for dinner with the money that goes along with the award? They’re going to pay you to stop writing your blog, aren’t they? Hey. Why didn’t I think of that? Are you available as a literary agent? NO NO NO…you’re the BEST blogger in the world! Cindy, have I ever told you how much I like you? Well I think they have it wrong! That SOB is not very nice at all, I love your blog. I knew I could count on you Jodi, a fellow lab lover. We stick together!